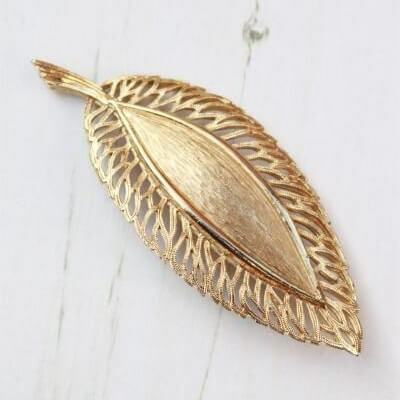 Description: This large statement brooch from vintage jewellery range Hollywood by the Bloxidge Brothers, produced in Birmingham features a textured centre and filigree edges, depicting a large leaf. 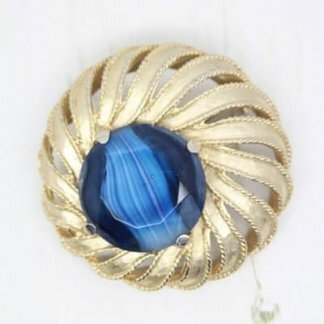 This gold plated brooch is fully signed to the back, complete with a strong roll lock clasp. Measuring 9cm at longest point. 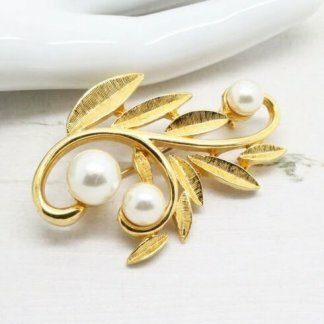 The brooch is in very good condition showing slight to no wear, it appears unworn and ‘new‘. 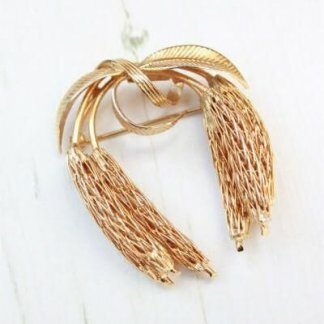 Perfect for adding the finishing touches to any outfit.